(Gallatin County, Mont.) Gallatin County Sheriff’s Search and Rescue started a busy night at 5:30 P.M. yesterday when missing 72-year-old woman with dementia was reported missing in Big Sky. Sheriff’s Deputies and the Big Sky Division of Sheriff’s Search and Rescue started a search and she was soon found walking in the area. At about 6:40 PM, the Gallatin County Sheriff’s Office received a call from the Madison County Sheriff’s Office advising they had received a 911 call from a cell phone. Before the call was disconnected, a man had said that he was hiking when a rock fell on him and he was bleeding. No more information was attained before the call was lost but Dispatchers were able to obtain general location information based on cell phone tower information and the search was started in the area of Lava Lake. With a Gallatin County Deputy acting as incident commander, the Big Sky division of Search and Rescue was again activated. An Air Idaho Medical Helicopter based in West Yellowstone was mobilized to try to narrow the search area and was soon able to locate the injured hiker. The helicopter was also able to find a landing area, care for the hiker, and then fly him to Bozeman Deaconess Hospital for further treatment. His injuries consisted of a broken left humerus, a broken left scapula, soft tissue damage to his right shoulder, and a laceration to the top of his head. As usual, a person who has some form of communication when they need assistance is a step ahead. Then, a little before 9:00 PM, 76-year- old Stanley Hamilton of Bozeman was reported overdue by his wife. He had taken his ATV and was riding in the Little Bear area near the mouth of Gallatin Canyon. 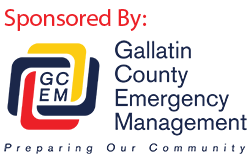 Multiple crews from the various groups of Gallatin County Sheriff’s Search and Rescue conducted an extensive search of the many roads and trails in the region. The Reach medical helicopter and Flathead County Sheriff’s Two Bear Air helicopter also responded. Around 3:00 am, a ground crew located Mr. Hamilton deceased on a remote and rugged trail about three and a half miles from the nearest road. Initial investigation at the scene indicates he crashed and died as a result of injuries sustained in the crash.